Perfume makes you feel fresh through out the day. Here are some tips to smell your perfume last longer to stay fresh and to impress someone you like. 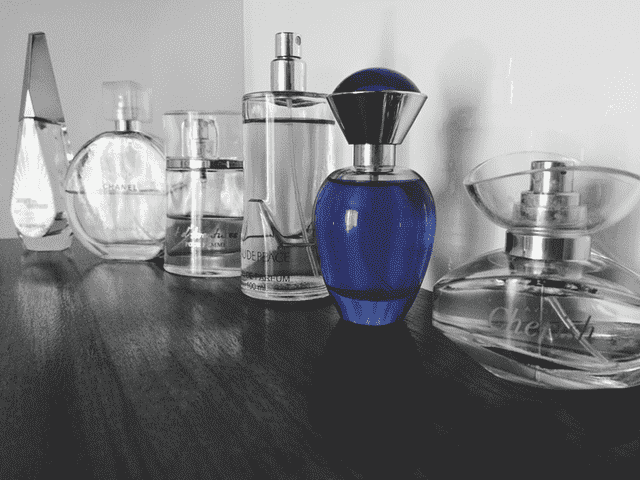 Your perfume bottles should be keep in dry areas. Avoid wet areas of your house, like the drying balcony or bathroom. Make sure that they are away from even light, heat and windows. Things such as these make a bad effect on the fragrance of perfume! 2. Don't spray perfume on dry skin. Before spraying perfume manly cologne on your skin, rub some vaseline cream. It's helps to keep fragrance of perfume last longer than usual! Take some time ti identify the hot areas on your body. Your neck, chest, shoulders, back of your knee and behind your ear that is on back of neck. These are the best and hot areas to spray perfume to impress someone you like. To smell perfume best all day long, always keep 6 inch distance between your body and spray bottle while using it. 5. Don't shake perfume bottle. Perfume liquids are have to be remain still as it is. But by shaking the bottle, you'll indirectly allowing air to come in and because of that, it affect the quality of the fragrance. 6. Don't be too much! If you think spraying too much perfume gives you smell last longer, you're doing mistake. You're not going to smell good. In fact, you're only going to discomfort everyone near you. So, don't go to spray too much perfume. Spray the minimum. You can also read:- What Clothes Look Best On You According To Your Body Type? Spray perfume right after taking a shower and before getting you dressed. Because of this moisture on your skin will help to lock in the scent and also this will also prevent the fragrance from making dirty spots on your favourite clothes. You can also read:- Are You Embarrassed By Your Style And Fashion Skills? Here’s 23 Tips What To Do.